If an additional bed is required there is 1 folding bed. 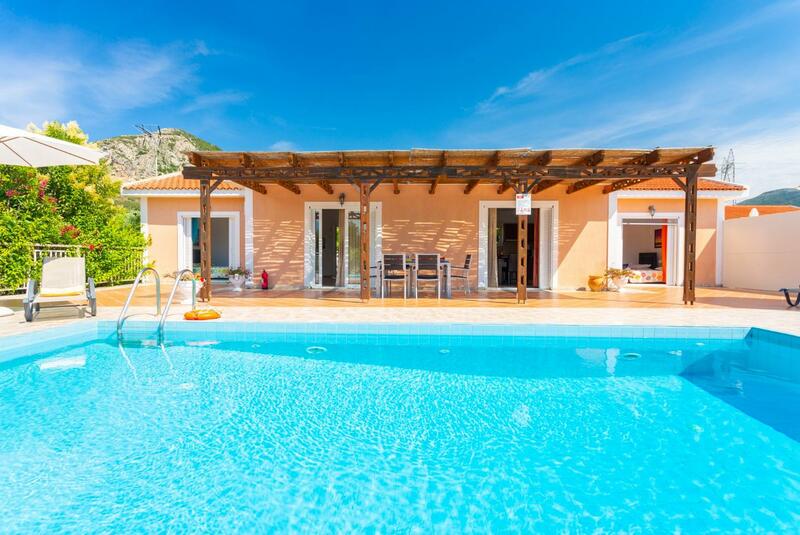 Villa Peach can sleep up to 5 people. Our 4th holiday with Agni and we recommend you to anyone whoâ€™s thinking of travelling to Greece for holidays. 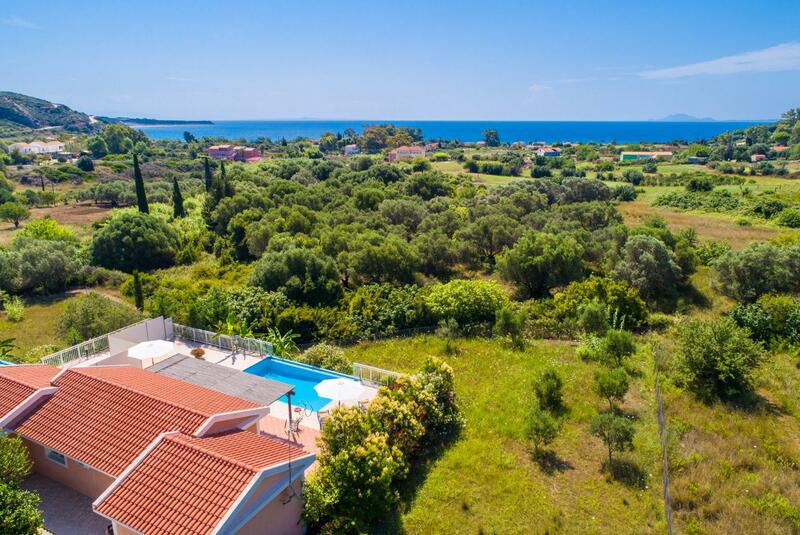 Another lovely villa and amazing outlook onto countryside, but only a 25 min walk to beach and tavernas. 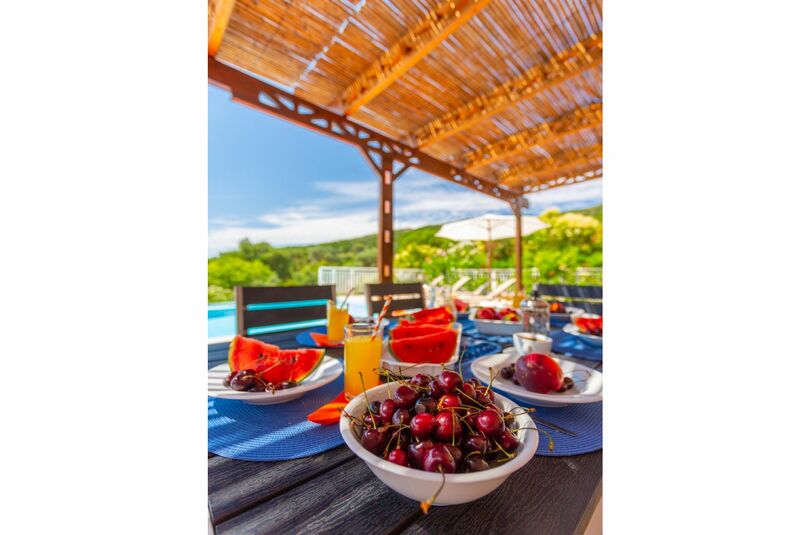 Katelios is our perfect location and canâ€™t wait to come back next year. We have been to Villa Peach for the last 3 years. 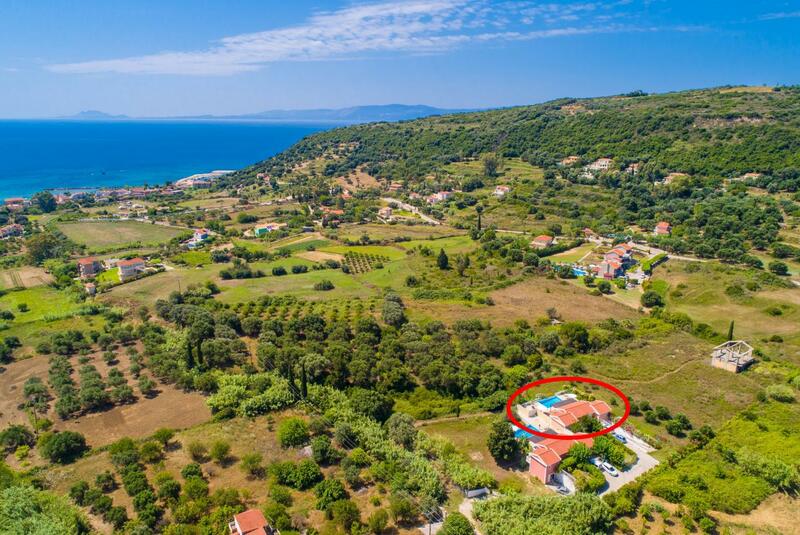 (Overall we have been coming to Kefalonia for owner 10 years, we love it) . 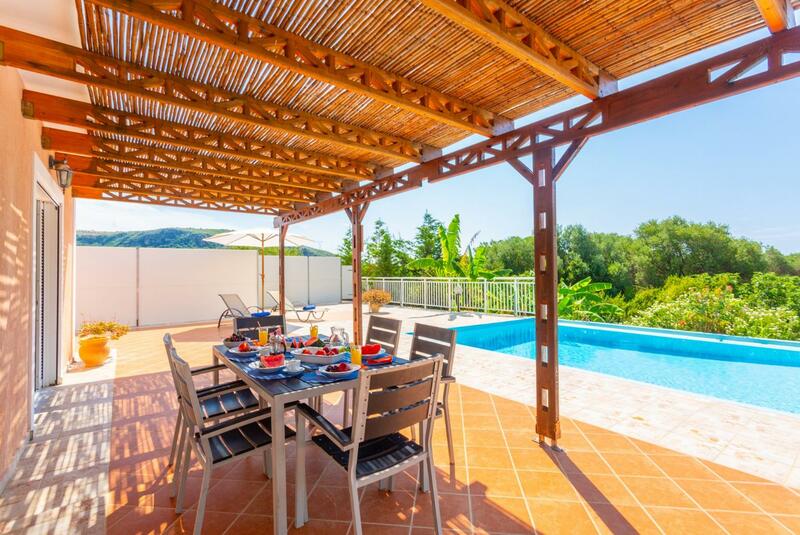 We have now found the perfect villa for us and intend to return forever! 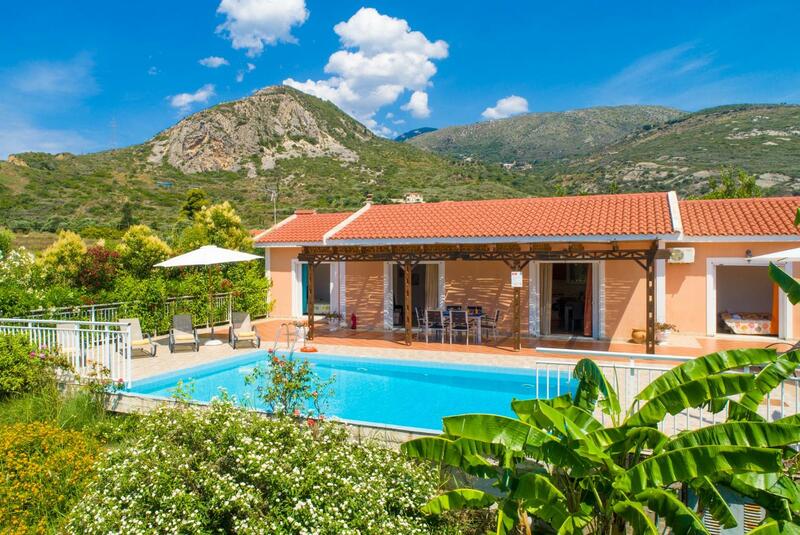 We love the peace and quiet of this property and the friendly people of Katelios. This is the third time we have stayed at Villa Peach, and it is the only place we have enjoyed so much we have returned to. Katelios is a beautiful place - it may not be to everyones taste as it is quiet, but it has enough restaurants and bars to provide variety. 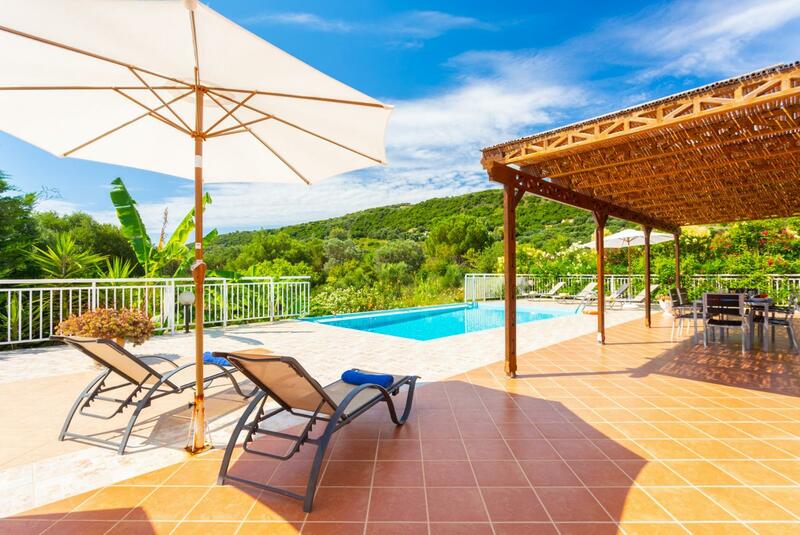 The Villa is set in the hills and not overlooked, its quiet and you could be in the middle of nowhere. But its only 15 mins walk from the sea and only 5 mins from a good taverna. The people who service the villa are great - particularly the cleaning lady Aida (I hope thats how she spells her name) who is the friendliest person ever and cant do enough for you. Only got back last week and am missing it already! One of the best holidays we have had, First time in a villa and was a little apprehensive but the help and professionalism of Agni Travel made us feel very safe with booking with them. The villa was delightful. 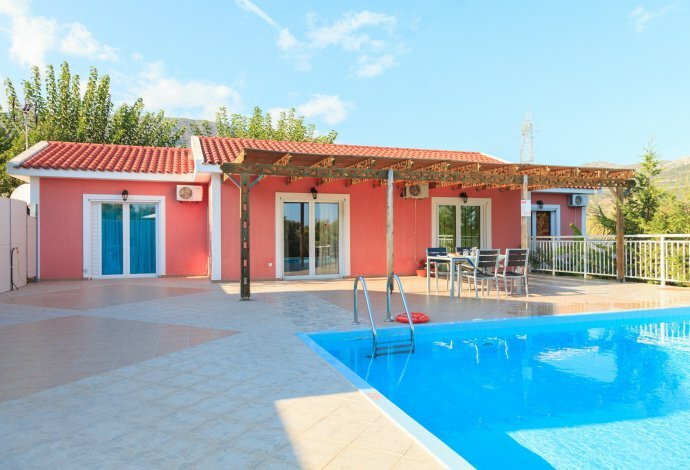 Situated in a very quiet part of Katelios but within 5 mins walking distance of the nearest taverna and supermarket and just 20 mins walk along a footpathed road to the beach and beachside tavernas. A torch is a necessity at night on the little track from the road to the villa and flat shoes are needed, Agni recommended a taxi company for the airport transfers which again were very efficient. Hired a car for 5 days but if you dont want to, there is all you need in Katelios and the local bus can take you further afield if needed. The cleanliness of the villa was superb and Ada, the maid, comes twice a week to change the towels and bedding - thankyou Ada. Second visit lovely place to stay very clean and well maintained. 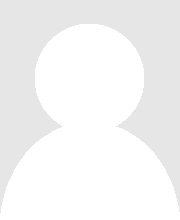 The cleaner was very helpful and the place was spotless nothing was too much trouble. Well equipped we had a light bulb go out we told the caretaker and within minutes it was changed. Very good service from start of booking to staying and knowing that Agni travel and the team were to hand if needed. Aida the cleaner top marks. Hopefully we will be able to use these services again. Thanks everyone. 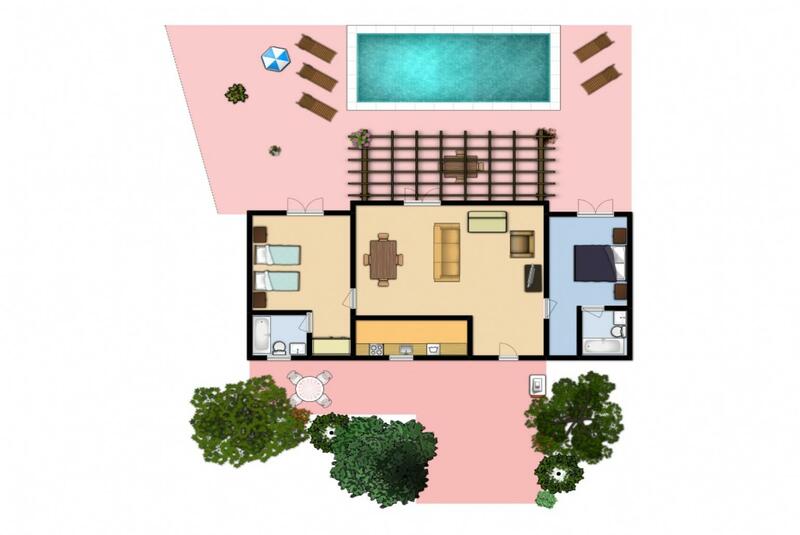 We booked Peach because our preferred villa was unavailable but we were more than happy with this villa and would most definitely consider it in the future. The interior was clean and huge but the highlight was the fabulous pool and terrace. It was easy to just stay lazing around there all day. 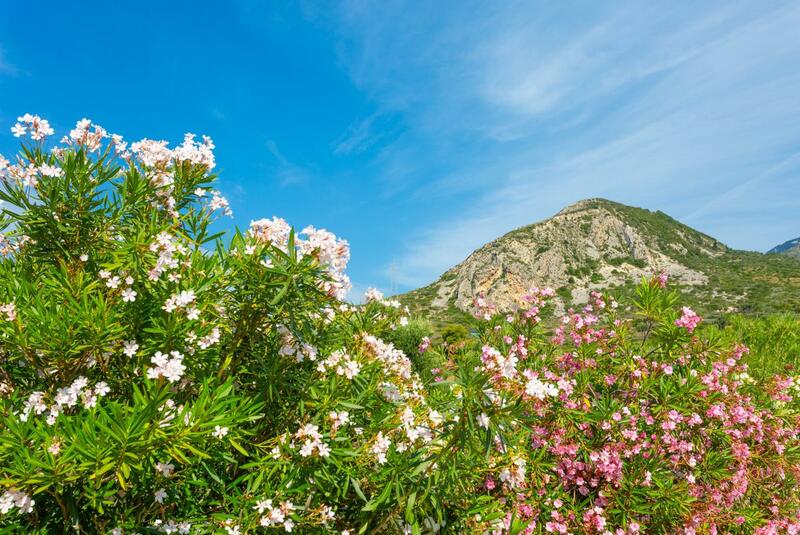 It overlooked an olive and fig tree grove and was really private and peaceful with beautiful views of the surrounding mountains. It was a pleasant 20 min stroll to the beachfront with the lovely tavernas and couple of bars. The nearest supermarket was only 10 mins away.We must mention that the track way that leads to the villa is an unmade track of loose gravel and stones so no high heels ladies. Also a torch for late night returns is a must. We had a great time really loved Katelios unspoilt location and there was more there than we imagined in terms of bars and tavernas. 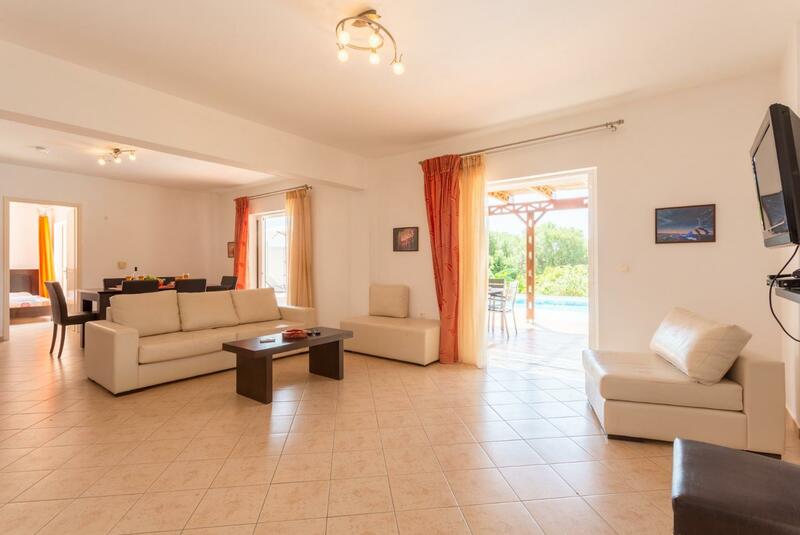 The villa is lovely - spacious clean and well equipped. The pool was really excellent and we lived outside on the patio area most of the time when at the villa. Fantastic!!! Lovely place well looked after. Katelios village very family orientated and friendly. Car hire from the village no problems and very lucky with the weather. Agni travel team, cleaner and caretaker were on hand 24/7. We hope to return next year with you. We love Villa Peach this was our second time there. Both the maintenance man Timios and the cleaning lady are lovely and helpful. 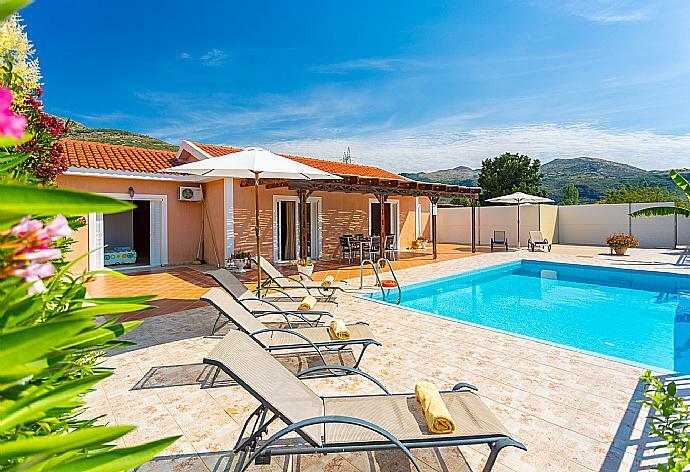 Villa is nice and quiet and Katelios is a really relaxed and de-stressing place with just the right atmosphere for us not busy or noisy but with enough bars and restaurants for choice. Sitting by the pool reading, swimming, snorkeling ,eating fish and drinking Rose, driving into the mountains to go walking. Wouldn't mind doing it all again! 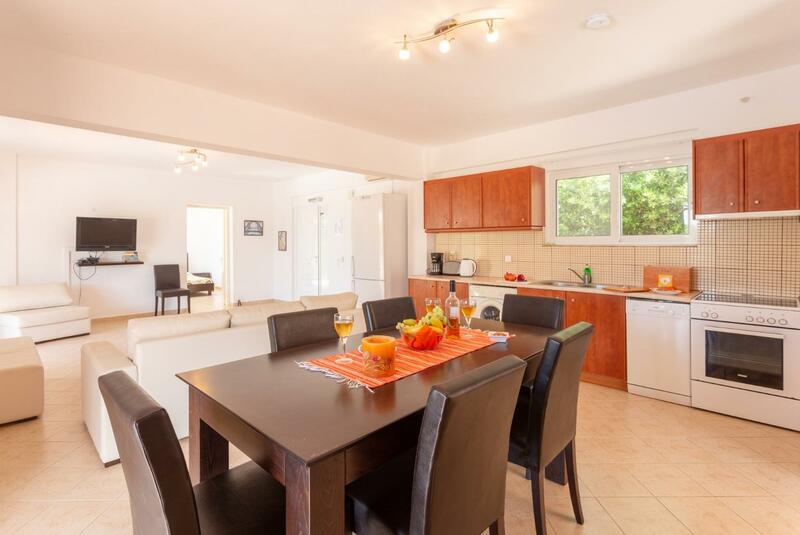 My wife and i had a very enjoyable stay in Villa Peach we had no problems with the villa and the cleaner and maintenance man were excellent please pass on our thanks. We had a fantastic holiday in Katelios. The villa had everything we needed and was kept exceptionally clean by the excellent maid who was also extremely helpful recommending places to visit and eat and was very accommodating and friendly.Villa Peach is in a fantastic position just a few minutes walk away from the local tavern (Persas Taverna) and a 10-15 minute stroll from the beach and restaurants. Despite being regular travelers this was our first visit to Greece and Katelios was just how we imagined it would be a small quiet resort but with plenty of terrific laid back bars and restaurants to choose from when we ate out which we ended up doing nearly every nightI was also really impressed with Agni Travel throughout our holiday. They answered all queries quickly and efficiently and were in constant touch via text and email should any problems have arisen. Thankfully they didn't. 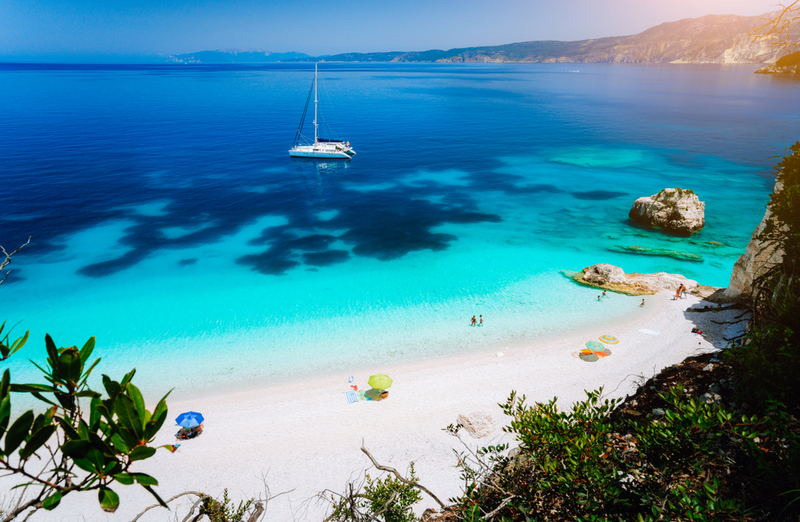 We would certainly consider using Agni Travel in the future when we hopefully return to one of the Greek Islands. 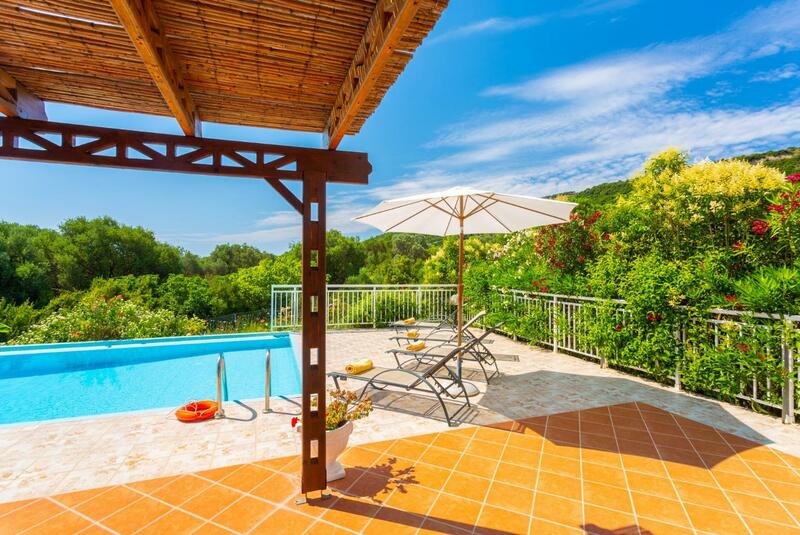 Very enjoyable the villa allowed for a relaxed and relatively secluded break with good access to the beach restaurants and tavernas the pool and outside area was particularly appealing. Maid service via Adda was exceptionally good. 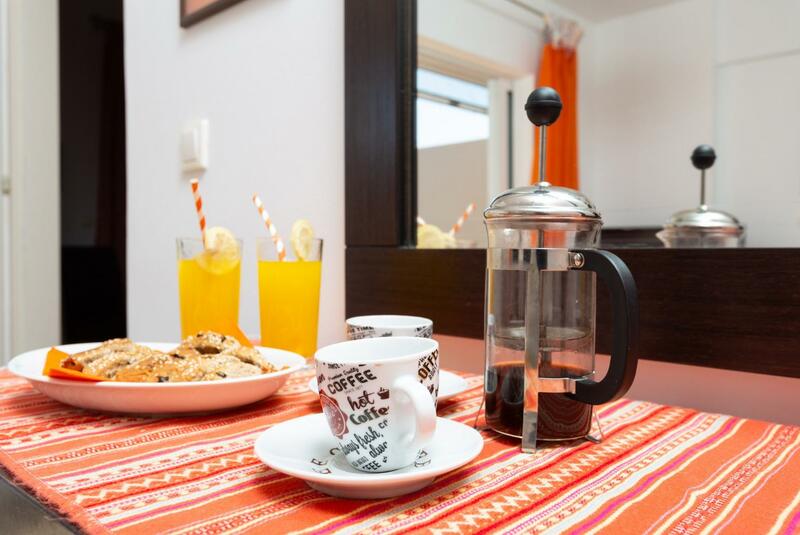 The property was excellent it was very clean and well maintained. The cleaner and the caretaker were very nice and helpful. The cleaner couldnt do enough for you and she told us when she would be in to clean the property. It was good that we got pool towels. 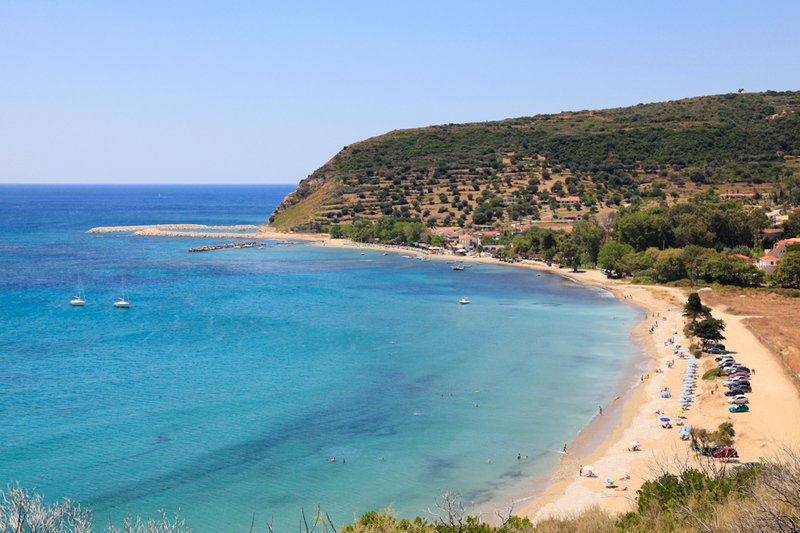 The property was located excellent for beach shops and tavernas. An excellent stay and we didnt want to come home. Very good holiday once again with Agni. Peach has a wonderful outlook over fields, hills and is very peaceful but not isolated. 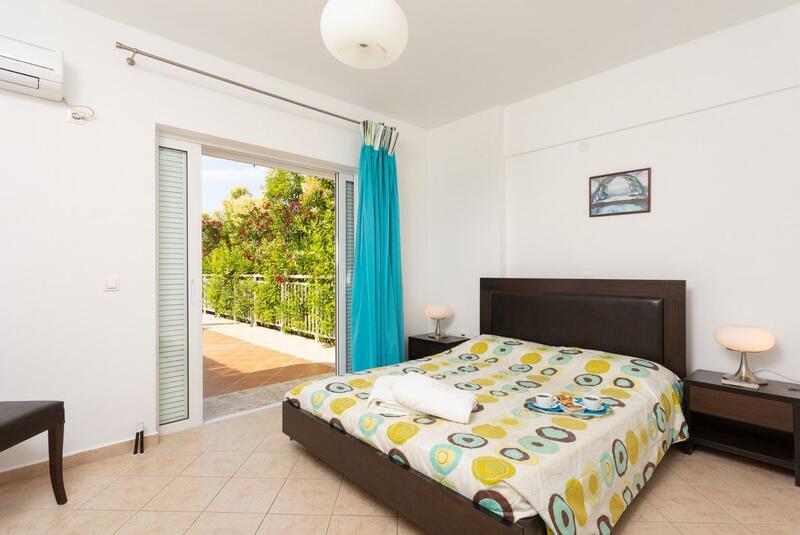 The villa itself is comfortable and roomy. The cleaner Ada is extremely helpful and friendly. 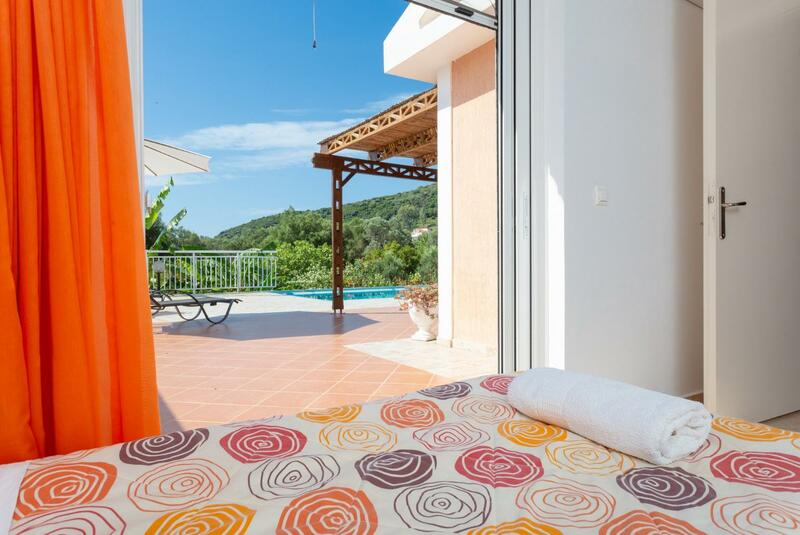 Excellent holiday at Villa Peach, very peaceful with beautiful views and not overlooked at all even by villa next door. 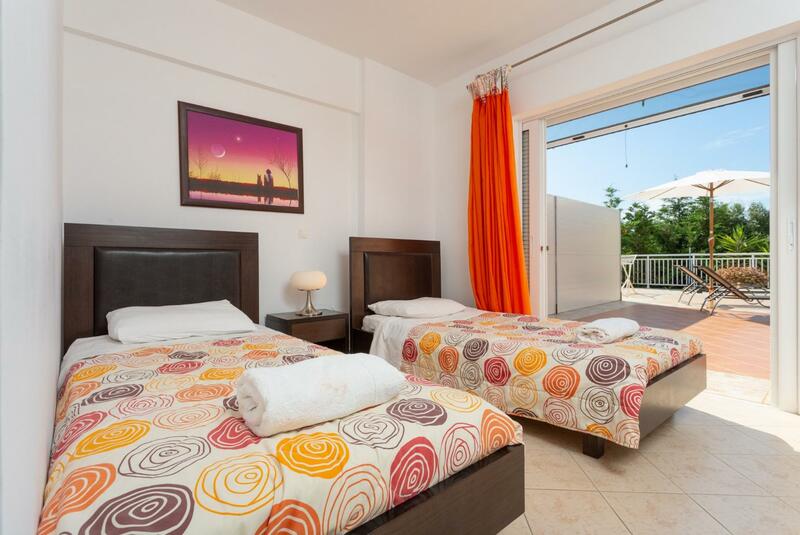 The Villa is roomy and comfortable and the cleaner extremely helpful and knowledgeable about the area, she even came to check all was OK after a thunderstorm and power cut. Villa was very clean and tidy and had everything we needed. Lots of clean towels. Lovely pool area. Could not fault it. Very private and lovely views. Will go back. 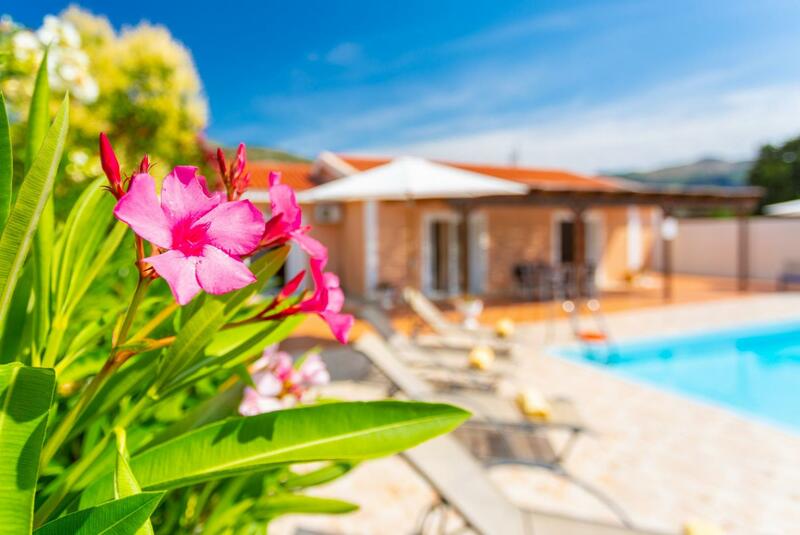 We really enjoyed our holiday in Kefalonia the villa is nicely located near Katelios but far enough away to be very secluded and peaceful. 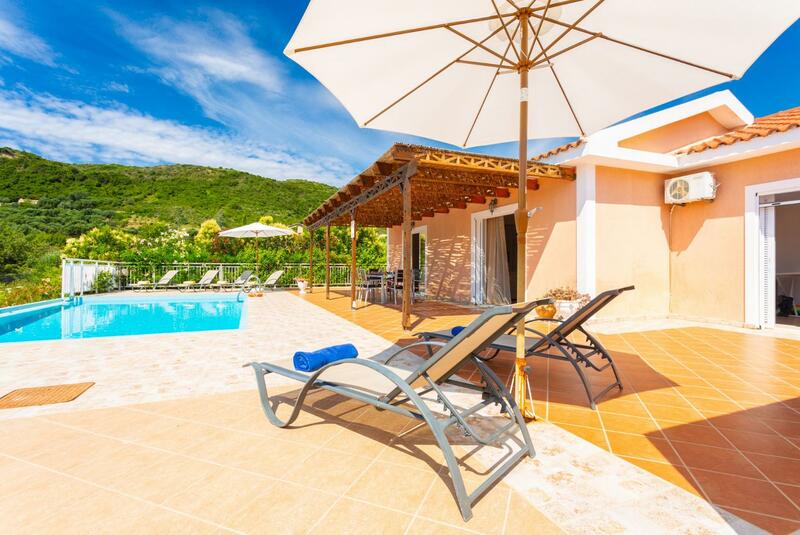 Villa Peach is by far the best villa we have stayed at on this island (we have stayed at two other villas in Kefalonia) excellent layout and pool facilities. The WiFi was excellent and good enough to watch live TV and download movies etc. The air-con and pool were great ways to cool down from the very hot weather and it was great that pool towels were provided - we've never had that service before. 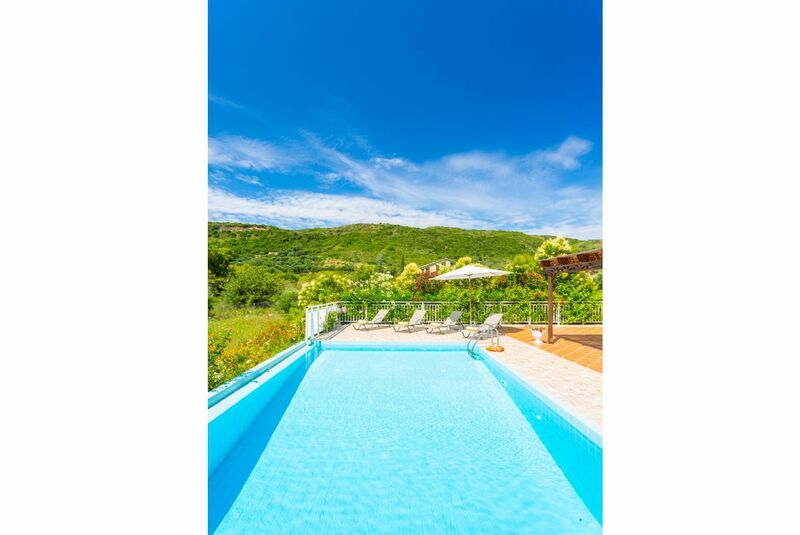 Overall I would very much recommend Villa Peach and will definitely use Agni Travel again. Villa peach is lovely and very clean and thimios; the caretaker and Amanda who kept the pool and villa clean were really lovely. 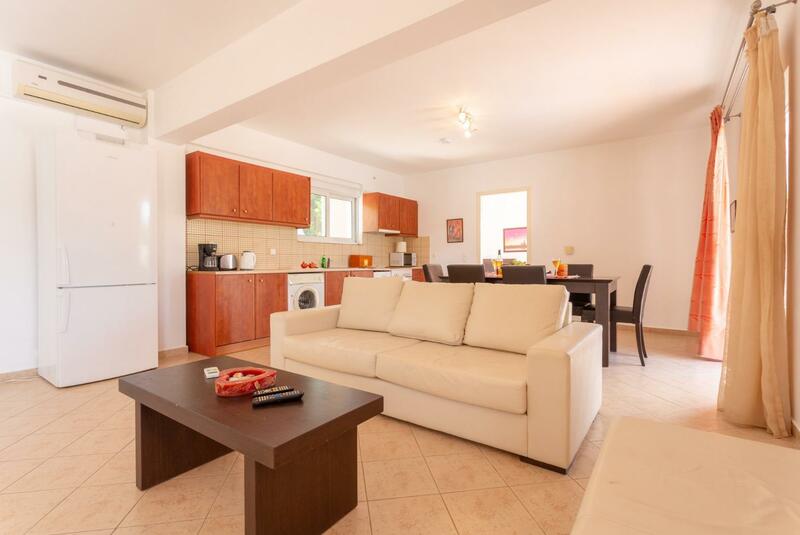 Perfect location as very quiet and not overlooked yet easy 10 min walk to restaurants at sea front. Katelios lovely. We normally cook bbqs etc but this time restaurants so reasonable priced and fantastic food we ate out all 7 nights. 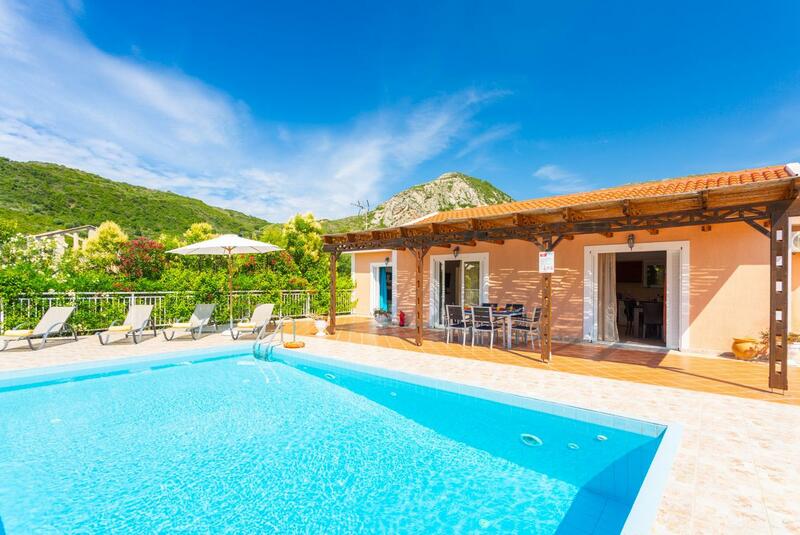 Weve been to kefalonia 5 times, normally Shala but will definitely go back to katelios and use Agni Travel as very good service and good value for money and great standard of villa with lovely large pools and free wifi. We had a lovely time in Kefalonia, very relaxing, warm and friendly. This was our second year holidaying with Agni Travel and hopefully we will be back again next year. Really liked Katelios, it was a pleasant walk down to the sea front for dinner with a great selection of excellent tavernas (our favourite was Katelios taverna). The villa was excellent. Kefalonia is beautiful and everyone was very friendly. 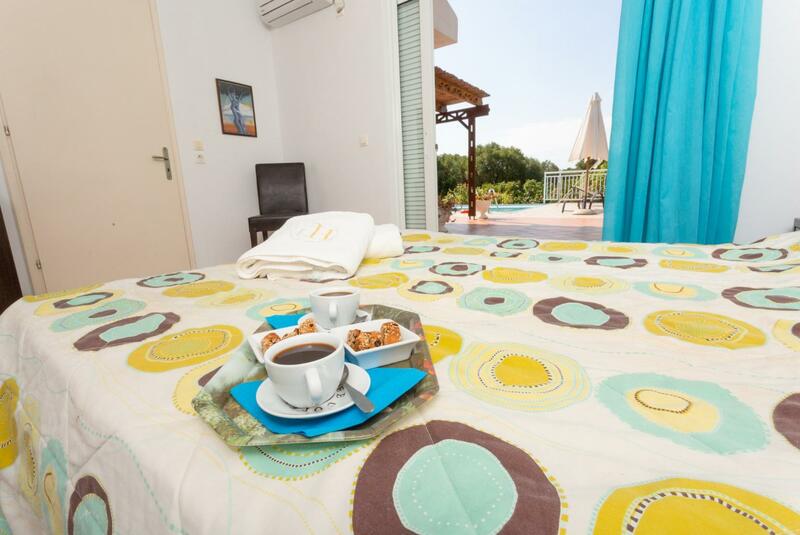 Overall we enjoyed our two weeks on kefalonia very much and did not encounter any problems. Totally relaxing location in a peaceful resort. One of the best villas we have stayed in over the past years.Would definitely use Agni Travel again. We had a fantastic stay at the Villa.Very relaxing time and the island is great to explore. Everything in the Villa that you would want. Booking easy and all information provided was helpful. Brilliant holiday - the villa was perfect for us as it was in an almost unspoilt area but the village was easily walkable and not too developed - only a few nice restaurants and a couple of laid back bars. Island is beautiful and so green which I wasnt expecting. 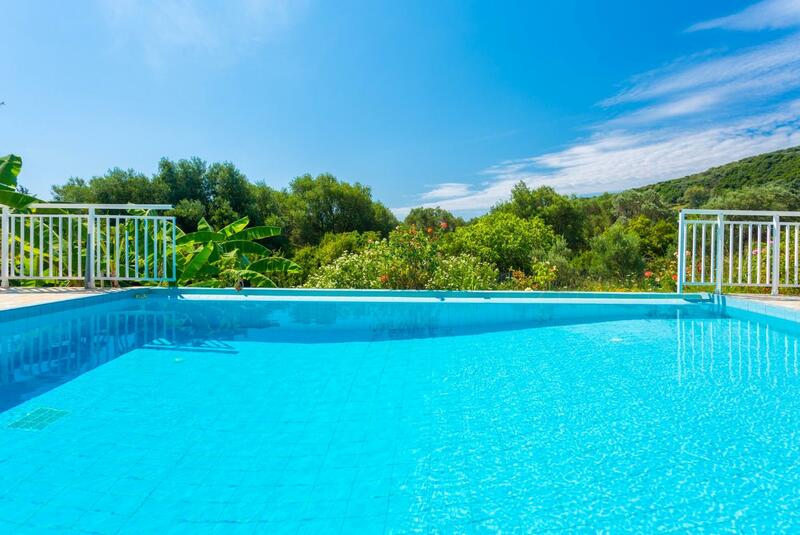 Everyone at Agni Travel and the couple looking after the villa were really helpful - even coming round within 10 mins when the pool pump went a bit wrong late on a Friday evening. Lovely island and local people very welcoming. Villa quite adequate and within easy reach of the airport. 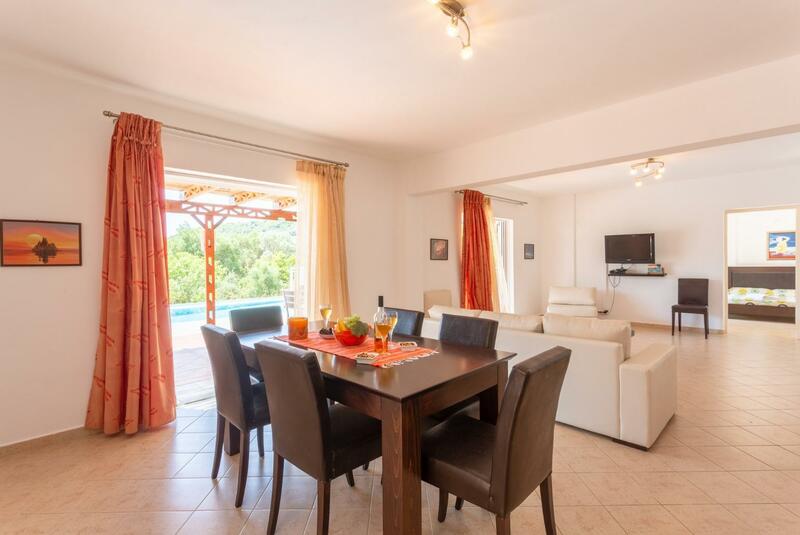 Lovely villa in a lovely quiet location cant wait to return. Cleaning of villa and pool first class many thanks to those involved. 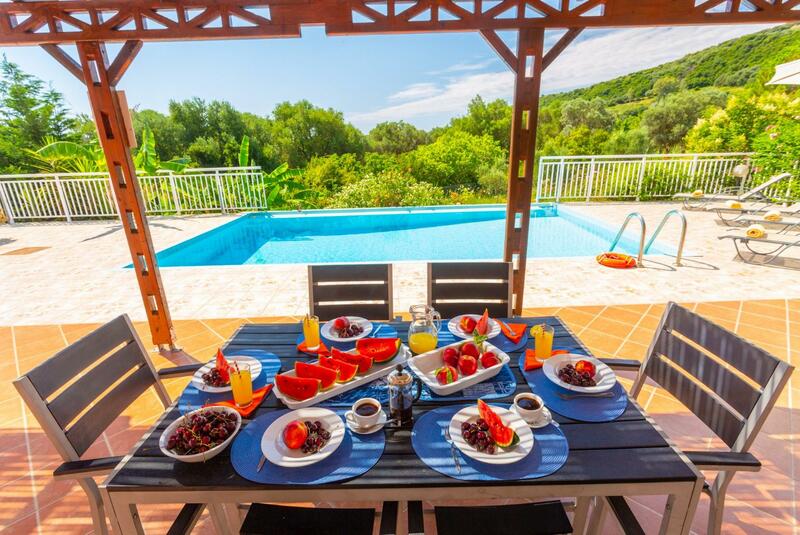 Villa Peach was booked 5 days ago!